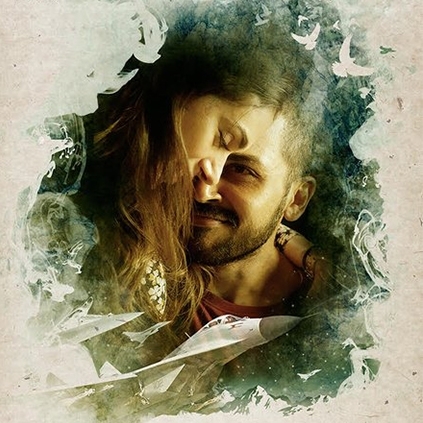 Director Mani Ratnam has begun his next film with Karthi and Aditi Rao Hydari as the leads. RJ Balaji is also on board this flick which is produced by Madras Talkies and will be distributed by Sri Thenandal Films. It is said that Karthi will be essaying the role of a pilot in the film. AR Rahman scores music, Ravi Varman heads the cinematography department, Sreekar Prasad handles the cuts and Vairamuthu pens the lyrics for this venture which begins its shooting in Ooty from today, the 7th July. . The unit has released its first look with the title Kaatru Veliyidai, a popular refrain from Maha Kavi Bharathi’s poetry, used in Kappalottiya Thamizhan years ago. The phrase was also heard in Theera Ula song from his last film OK Kanmani. Incidentally, one of Mani Ratnam’s earlier films was titled as Kannathil Muthamittal, again, a phrase from Bharathi’s. The first look poster oozes youthfulness and love all over with Karthi giving his best romantic looks with a mischievous glint in his eyes with heroine Aditi appearing to have been completely smitten by Karthi’s charm. Looks like one more romantic flick in the offing. Best wishes Team Kaatru Veliyidai! Box Office: Sultan hurricane, second highest ever! Team 2.0 heads to Puli's spot! People looking for online information on Aditi Rao Hydari, Kaatru Veliyidai, Karthi, Mani Ratnam will find this news story useful.